Do you have a picky eater? It could be Sensory Processing Disorder. The exact cause is still unknown, however, there has been some research that points to it being inherited. Pre-natal or birth complications have been linked as well as environmental factors may play a part as well. A child can be overly responsive or under responsive in their reaction to a stimuli. For example, if a child's arm is touched, it might feel like some one is hitting them or possibly not feel much of anything. Pieces of clothing could be bothersome, such as tags or seams in socks. Certain fabrics might irritate them as well. Feeding Challenges and Food aversions - Some are "picky eaters", others struggle with texture issues and oral motor difficulties that result in gagging, or difficulty chewing which can lead to digestive issues. Children who cover their ears usually is an indication that whatever they are listening to is too much for them to handle, so they cover their ears. Fine motor challenges such as using a crayon, picking up a small item from the floor can indicate SPD. Transitioning from one thing to the next can be so overwhelming for kids with SPD that they meltdown and cannot recover quickly, so a transitional object and time can help with that. If bumping into things is the norm for your child, then possibly their brains do not know where their bodies are in relation to an object and that can overwhelm them as well. 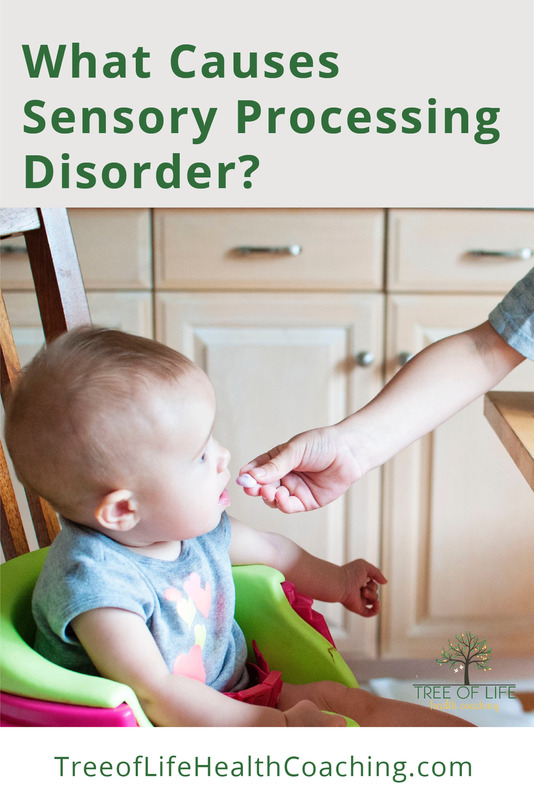 Can Sensory Processing Disorder Be Treated? Yes, there are many therapies that can help with the different pieces of Sensory Processing Disorder. Occupational Therapists are trained to help, however, each child is different and will present with Sensory Processing Disorder in different way. It's important to not give up and to keep finding answers that we help your child. CALL TO ACTION - Is your child in a food jag where they only eat certain foods? Would you call your child a picky eater? Then I have something for you. It’s my newest program, “Grocery Store to Table” and it’s available NOW. You will receive a 4 part video series complete with essential downloads of a proven approach to introduce a variety of foods to your child’s diet beginning with the grocery store experience and then taking it into your kitchen and eventually to the table. Get it NOW by clicking here.